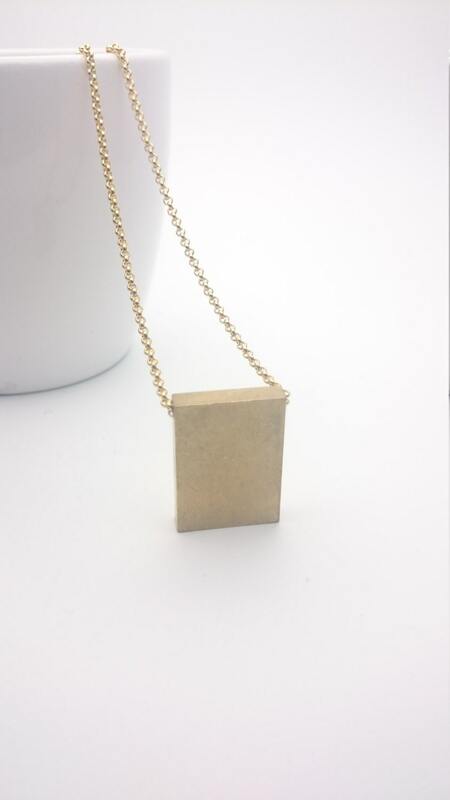 Gold Brass Rectangle Bar Necklace//Geometrical Gold brass Necklace stainless steel Chain//Minimalist gold industrial necklace//Cube necklace. 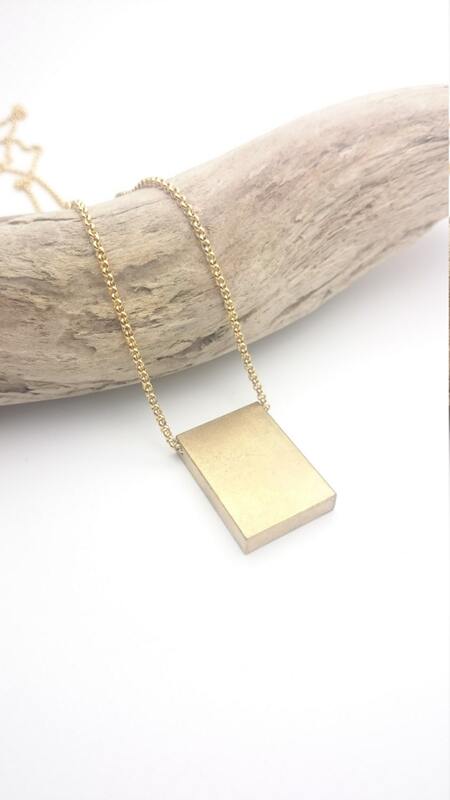 God raw brass bar geometric Necklace with gold color surgical steel chain closed with lobster clasp and gold raw brass rectangle bar pendant. 32 inch chain. 2 mm wide. 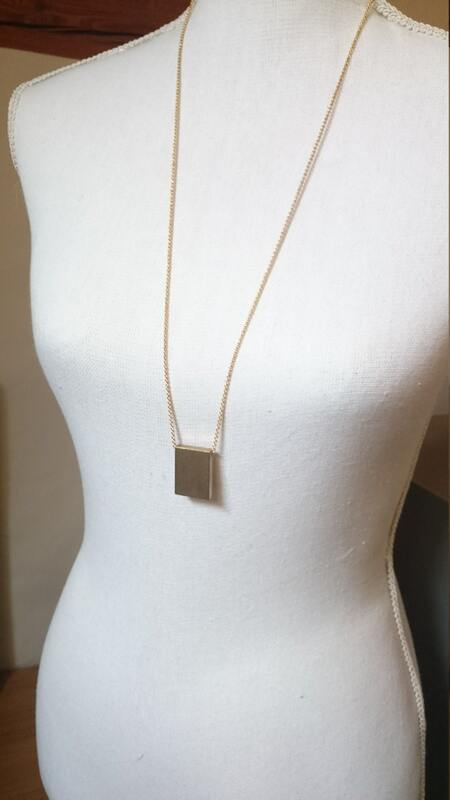 Pendant : 2 cm wide and 2,5 cm long, thickness : 5 mm. CHAIN : Stainless steel chain (surgical steel 316L) don't tarnish, rust, or fade. It will not discolor your skin. This material is hypoallergenic for those with sensitive skin and metal allergies and very durable. 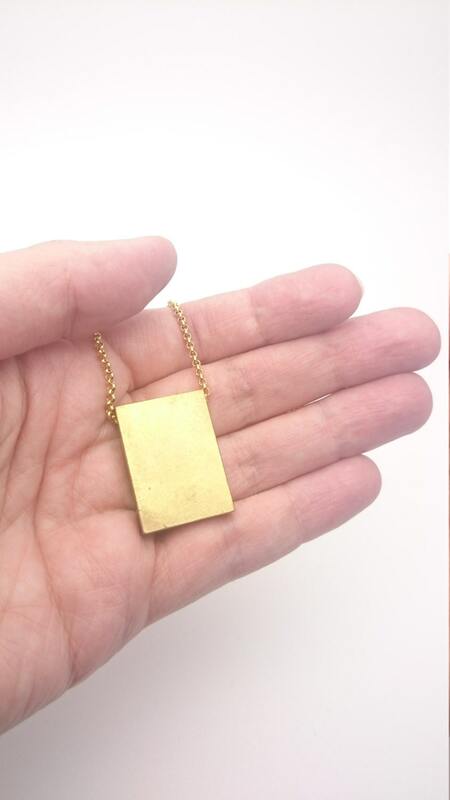 PENDANT : Raw brass can vary in color and will age naturally and change color over time, adding to the unique nature of the metal. The brass is nickel and lead free. 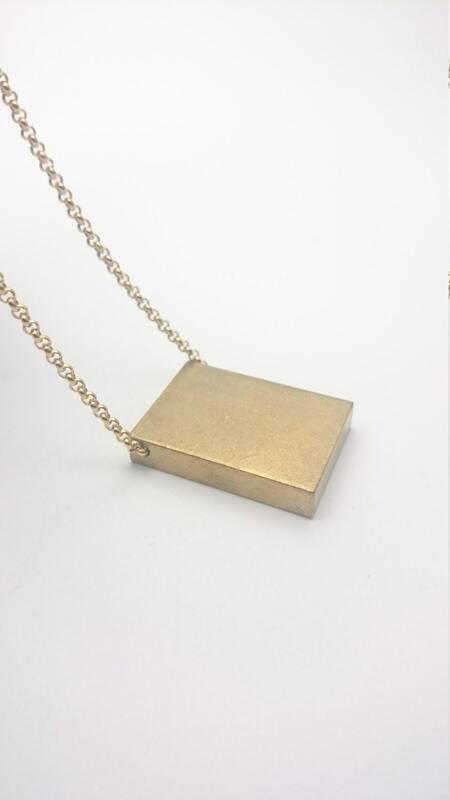 This necklace has a minimalist industrial style. Please kindly note I don't do any engraving on the necklace. It is sold blank as you can see on the pictures.